If you have old toys collecting dust, a little ingenuity can transform them into entirely (seemingly) new toys for very little money and effort. 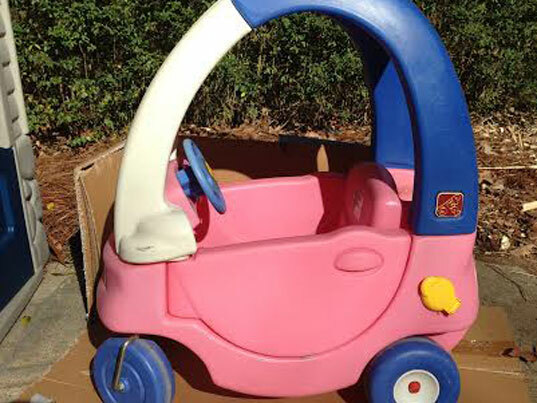 Case in point, I wanted to turn my daughter's old Step 2 car into something my son would love. 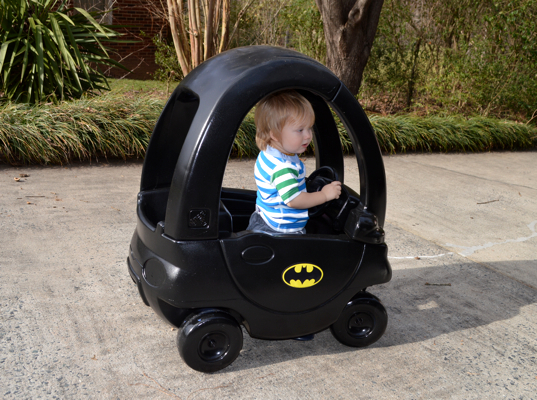 We are big comic book fans, so I thought a Batmobile would be perfect for my little Bruce Wayne. The supplies were very inexpensive and it took only 30 minutes, plus 24 hour drying time to complete the project! Keep reading to see how you can create your own Batmobile and get inspiration to create your own upcycled toy! 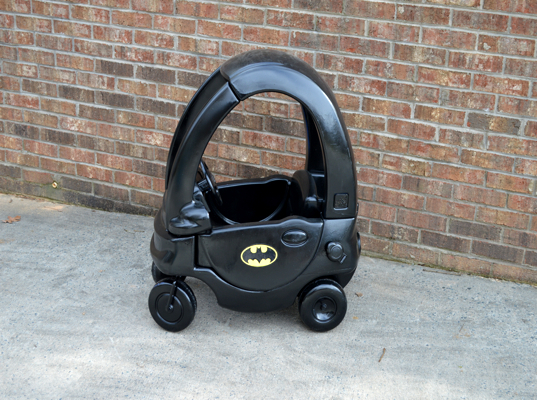 If your kiddo is dressing up as Batman for Halloween, this sweet ride would be ideal for photo opportunities, or even to take for a spin in the neighborhood while trick-or-treating! Make sure you scrub down the car with vinegar and remove all dirt. Your kids will love helping you with this part of the makeover. You will want to take off any stickers or decals that came with the car. Next, place the car on cardboard or a plastic mat to prevent paint from getting on the ground, in preparation for the next step. Wear latex gloves while using the spray paint to prevent it from getting on your fingers. Also wear a face mask so you don’t inhale any of the spray paint fumes. It is better to paint the undercarriage first, including the wheels, and then the inside of the car. The paint dries to the touch within 20 minutes. Make sure you allow the car to dry outside in a well ventilated area for at least 24 hours, and then wash it off before allowing your child to zoom off in it. Then apply the Batman decal and voila! You’ve got yourself a Batmobile! Wear latex gloves while using the spray paint to prevent it from getting on your fingers. Also wear a face mask so you don't inhale any of the spray paint fumes. 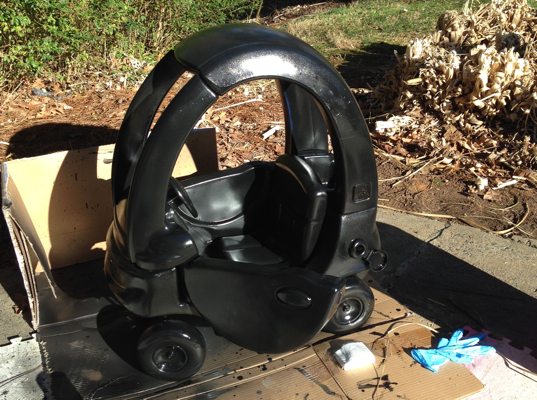 It is better to paint the undercarriage first, including the wheels, and then the inside of the car. The paint dries to the touch within 20 minutes. Make sure you allow the car to dry outside in a well ventilated area for at least 24 hours, and then wash it off before allowing your child to zoom off in it. 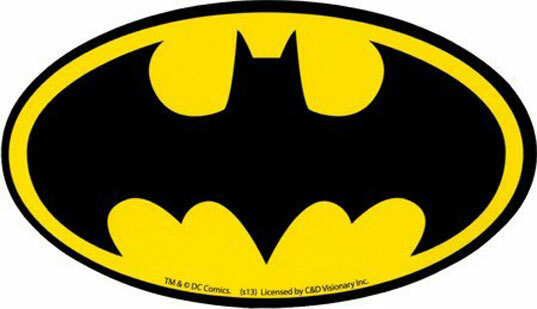 Then apply the Batman decal and voila! You've got yourself a Batmobile!